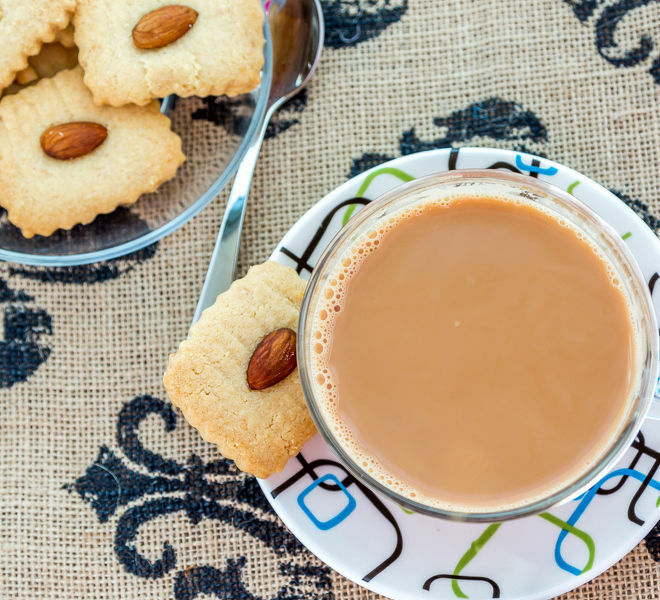 Mornings in India are incomplete without chai, a drink which is now very popular in the western world as well. 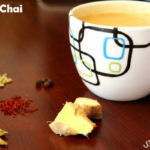 Chai is a blend of milk, loose black tea leaves, water and lots of other spices. There’s a lot on spices that can go into the chai like cloves, cinnamon, fennel seeds etc. however this one has only 2 – ginger and green cardamom. 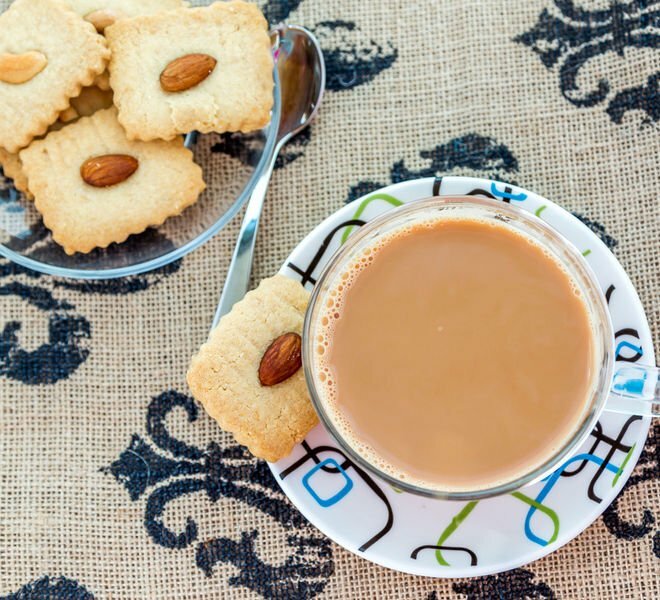 The tea flavored with these two are the most popular back home, commonly known as adrak wali chai (ginger tea) and elaichi chai (cardamom tea). 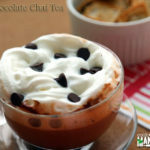 The popularity of chai has gone up tremendously in recent times. I mean all the coffee chains here in US do have chai on their menu. Even though the chai latte on their menu doesn’t taste exactly like the Indian chai but it’s close enough, it has milk and spices and I drink it all the time when I’m travelling. 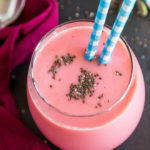 My morning doesn’t begin until and unless I sip on my hot chai and even though this is made every day in my kitchen I never though of posting this on the blog, not until today. 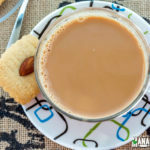 Everyone has their own preference when it comes to chai, the list is really long. Some like more milk in their chai, some do not like milk at all. 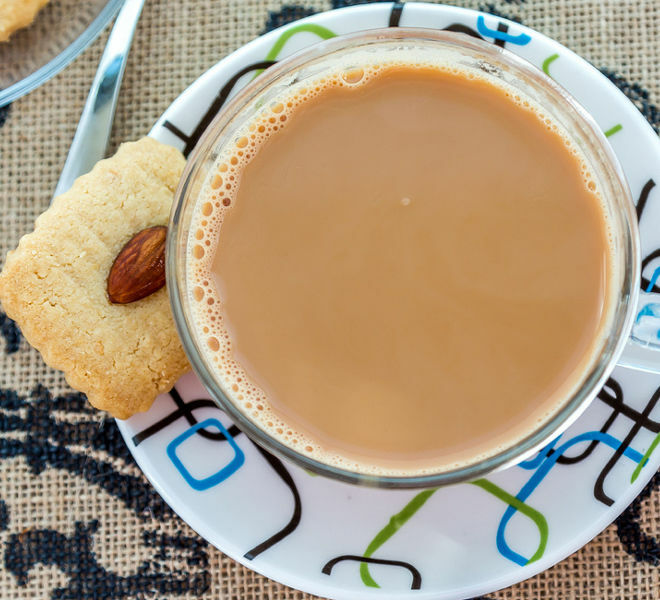 Some prefer stronger chai while others would want very little tea flavor in their chai. Some would not like any spices in their chai while others would not drink it unless there are spices in it (like me!). 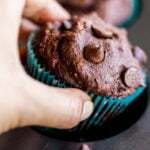 So you see this recipe can also be adjusted according to preference and taste. If you want a stronger ginger flavor, add more ginger. If you like “milky chai”, add more milk and so on. This is the version that I like and that’s what I’m sharing here. 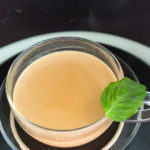 Also check out another chai recipe on the blog – Masala Chai. 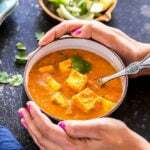 * I do not add sugar in my chai hence I have not mentioned the quantity of sugar in the recipe. You can add as much as you like, according to me 1/2 teaspoon cane sugar per cup should be good enough. * You can use any tea brand of your choice. I use Society tea. Indian chai flavored with ginger & cardamom. Peel the cardamom and take out the seeds. 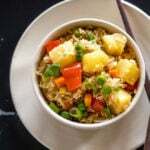 Crush them using a mortar & pestle. Set aside. Heat water in a pan on medium flame. Add grated ginger & crushed cardamom seeds. Once the water is hot, add the milk and also the sugar. Let the milk & spices comes to a boil. Add the tea leaves and simmer for a minute or two. Simmer more for a stronger chai. Strain the chai into the cup using a strainer. That’s so true… there’s so many variations on chai tea. I love so many different permutations of it, but THIS really sounds like my cup of tea! HA! So corny. 🙂 Seriously, this one sounds ridiculously delicious! Thanks Sarah, hope you give it a try! This is how I drink my chai everyday! 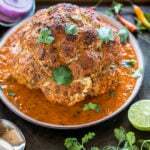 Thank you for posting this recipe, enjoy!